Prime Minister Narendra Modi on Sunday said that the process of taking important economic decisions would continue. His assertion came at a time when the Opposition parties have been targeting the government over the GST and demonetisation moves. Stating that 27 lakh “new citizens” had come to the “mainstream” after joining GST, the Prime Minister assured businessmen who were “afraid” that the government would not dig out old records. “I would like to assure them that no officer will entitled to open their old accounts and probe them. The economy of the country is on the right track and direction,” he said on a day he launched a roll-on, roll-off ferry service in Ghogha. The first phase of the ferry service is from Ghogha in Saurashtra to Dahej in south Gujarat. The Prime Minister spoke at both the ports. “We have established a business culture based on honesty. It is my experience that no businessman wants to cheat, but some laws and rules, officers and politicians push him towards it, make him helpless. We want to give him an environment of honesty,” he said. 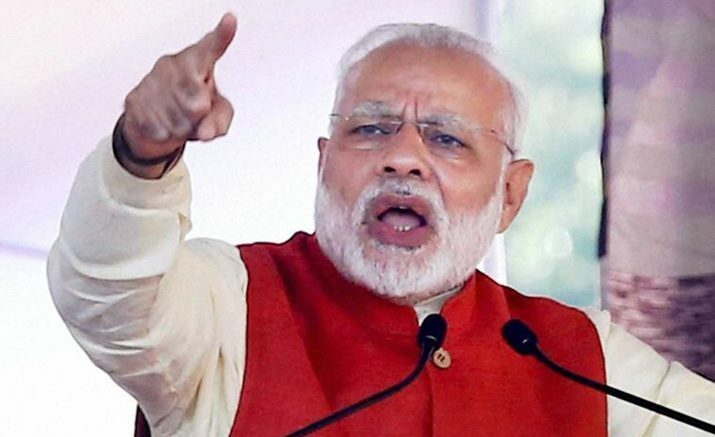 Be the first to comment on "PM Narendra Modi assures traders on GST, says reforms will continue"